DESIGNLOBBY.ASIA and Product Design Centre of Canton Fair (PDC) signed a memorandum of understanding for the creation of the PDC Station in Greece in order to help the Greek Creatives promote their work in China. PDC belongs to Canton Fair, the largest trade show in the world with more than 25,000 exhibitors and 200,000 attendees in each session. The Ministry of Commerce of the People’s Republic of China owns Canton Fair. During the event the leading Greek Platforms that promote Creativity, Entrepreneurship, Culture and Design (DESIGNLOBBY.ASIA, QRATOR, LIVING POSTCARDS, THE GREEK FOUNDATION) presented their work to the Chinese Delegation. The opening remarks were addressed by the President of the Hellenic Chinese Centre of Entrepreneurship, Aphroditi Bletas, the First Secretary of the Ministry of Foreign Affairs for Commerce and Finance and specialist of Greek German Relations, Yannis Salavopoulos, and the CEO and Founder of FORESIGHT Strategies and Communication and REPOWER GREECE Initiative, Alexandros Costopoulos. Host of the night was Architect and Historian of Architecture, Stavros Martinos Editor in Chief of ARCHISEARCH.gr, academic director of ARKKI School of Architecture for Kids and Youth and consultant at DESIGNLOBBY.ASIA. The CEO of DESIGNLOBBY.ASIA, Vassilios Bartzokas, has presented his work in Asia and highlighted the importance for the creation of a collaboration culture as well as the need for extroversion for the Greek Creatives. He noted that it was very encouraging that for the first time all the platforms that promote Greek Creativity were gathered together in one event and were discussing about working together. DESIGNLOBBY.ASIA is a private initiative that promotes people and agencies from the creative economy of Greece to Asia and has participated until today to significant events such as Beijing Design Week, Business of Design Week in Hong Kong, Guangzhou Design Week, Canton Fair, Shenzhen Design Week and Hangzhou Design Week etc. 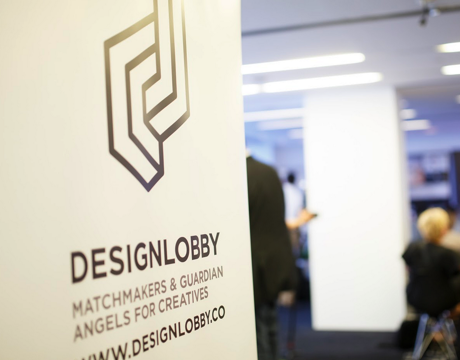 DESIGNLOBBY has created two printed editions in English and in Chinese about the work of its members and has presence in roadshows, netwoking and design events in Asia and Europe. Recently DESIGNLOBBY.ASIA signed MOUs with the HANGZHOU DESIGN WEEK as well as the SHENZHEN DESIGN WEEK. This agreement took place on Friday 3rd of July 2015 at FRESH Design Hotel. The event was under the auspices of the Hellenic Chinese Centre of Entrepreneurship. Zayo Group buys Viatel for €95M!